Bisphenol A can be detected in baby bottles, food and beverage containers, plastics water bottles and in other places around your home - want to find out more? Click here to find out why Bisphenol A detection is important and about the hazards of BPA in your home. 1. Place the item you wish to test in cup of just-boiled water for 5 minutes. 2. 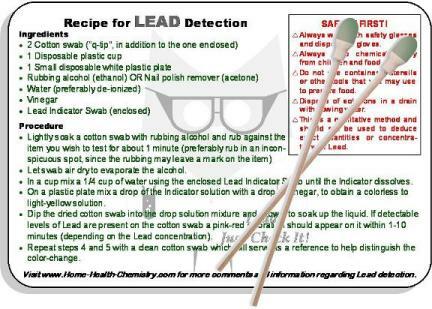 Lightly soak a cotton swab with rubbing alcohol and rub against the test item for about 1 minute. 3. 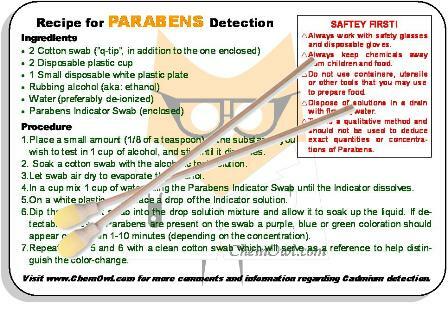 Let swab air dry to evaporate the alcohol. 4. 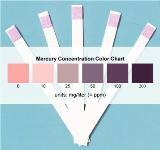 In a cup mix a 1/4 teaspoon of Bisphenol A Indicator with 1 cup of water. 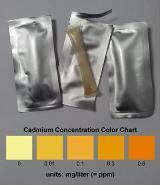 Label this solution – “Indicator”. 5. 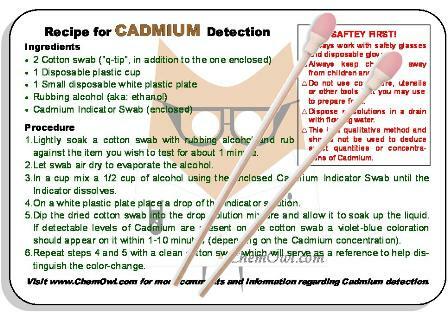 On a white plastic plate place a drop of the Indicator solution. 6. Dip the dried test swab into the drop solution mixture and allow it to soak up the liquid. 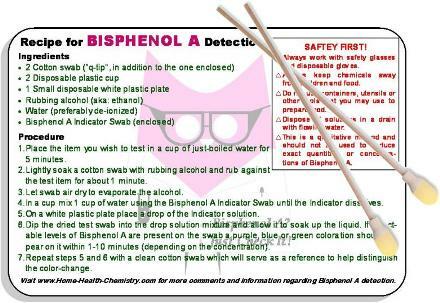 If Bisphenol A is present on the swab a purple, blue or green coloration should appear on it within 1-10 minutes (depending on the concentration). 7. 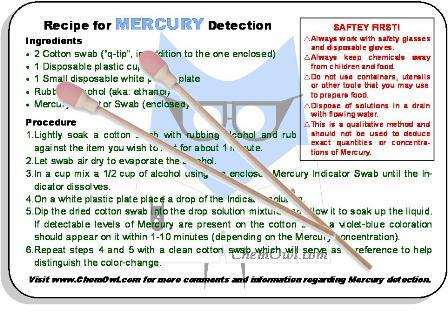 Repeat steps 5 and 6 with a clean (untreated) swab which will serve as a reference to help distinguish the color-change. 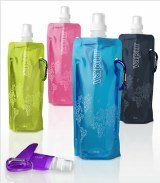 • This method is qualitative and able to detect BPA content down to 0.1%. 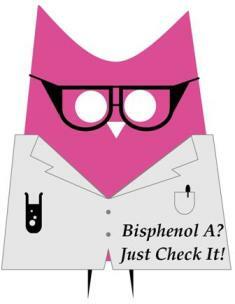 • If Bisphenol A is detected it is advised that you limit your exposure and contact a professional.